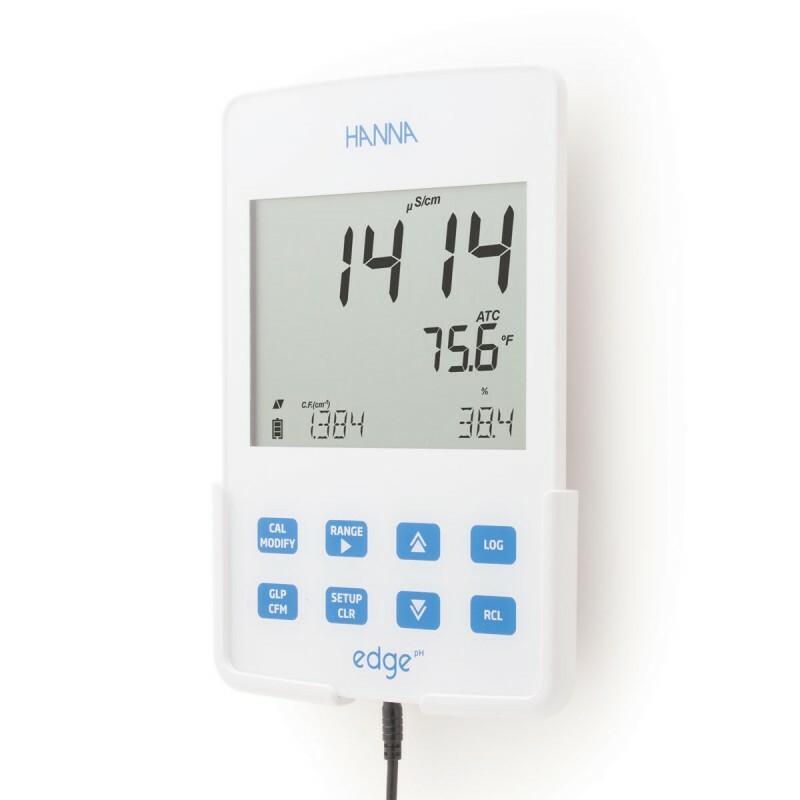 Hanna Instruments is proud to introduce the world’s most innovative Conductivity/TDS/Salinity meter: edge®. edge’s groundbreaking design is the culmination of Hanna’s vision, design capabilities, integrated production and world class R&D. 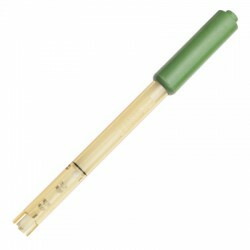 edge is a single meter that can measure Conductivity, TDS and Salinity and is incredibly easy to use. 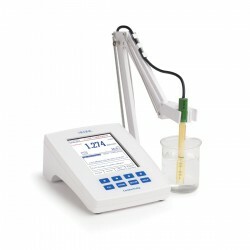 edge® EC/TDS/Salinity utilizes four ring conductivity probe technology that allows the user to measure samples from very low conductivity to very high conductivity. edge® is an auto-ranging meter that will select the appropriate range for the measurement to ensure the highest accuracy available. edge® features a capacitive touch keypad that gives a distinctive, modern look. The keypad is sensitive enough to be used with laboratory gloves and has a fast response. Since the keypad is part of the screen, there are no buttons to get clogged with sample residue. edge® features a 5.5” LCD display that you can clearly view from over 5 meters. The large display and it’s wide 150° viewing angle provide one of the easiest to read LCD’s in the industry. edge® Conductivity/TDS/Salinity is packed with many cutting edge features to ensure accuracy and usability. Using the wall mount cradle (included), edge can be placed on a wall, leaving zero footprint on the benchtop space. The cradle has a built in connector to power edge and charge its batteries. 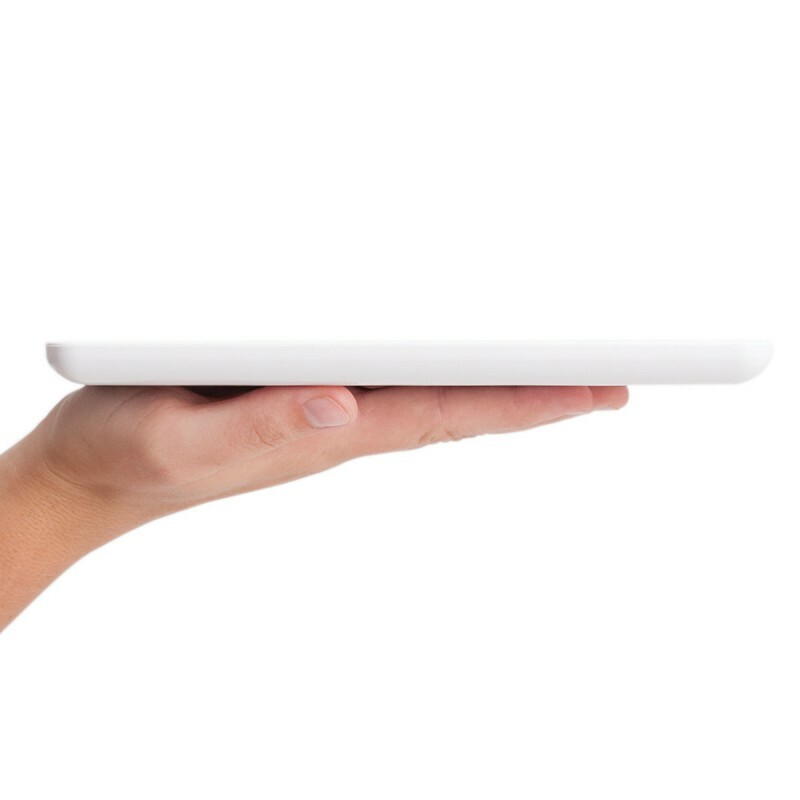 edge's zero footprint design saves you valuable benchtop space. edge® is equipped with a benchtop cradle featuring an adjustable swivel electrode holder to charge and hold the edge securely in place at the optimum viewing angle. edge offers both Basic and Standard Modes. 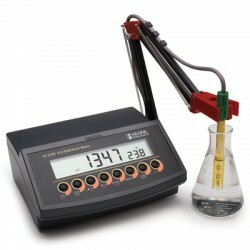 In Basic Mode the edge as an EC meter reduces features to simplify operation. 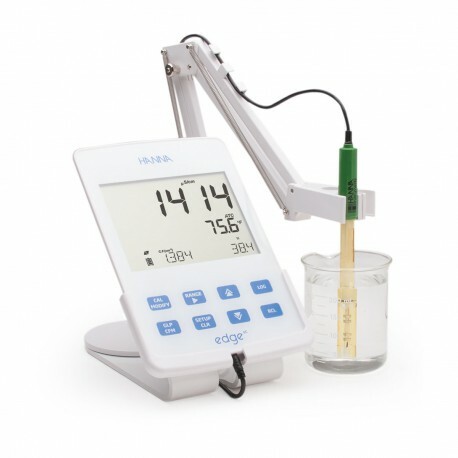 In Basic Mode the meter will only allow for automatic temperature compensation, auto ranging of readings, and automatic cell factor correction while calibrating. The temperature correction coefficient is fixed to 1.9% / °C and interval logging is not available. In Standard mode the user has options to change these settings. edge®EC HI2003 includes: HI763100 Conductivity probe, 1413 μS/cm conductivity standard sachets (3), 12880 ?S/cm conductivity standard sachets (3), benchtop docking station with electrode holder, wall-mount cradle, USB cable 5 VDC power adapter, quality certificate and instruction manual.